The 6th competition has begun! 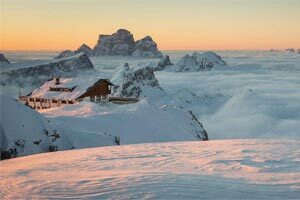 Cortina Delicious, the consortium of Cortina's Lagazuoi 5 Torri Giau area, is organizing the 6th edition of a contest with the purpose of revealing the breathtaking beauty of the Super8 ski tour through participants' videos and photos. There are three prizes to be won, respectively for the first place in each category: Selfie, Photo and Video. The price for each category consists in two overnights with half board (dinner and breakfast) for two persons in a double room in one of the participating hotels or rifugios during the summer season, except in August.